Pablo Villavicencio was detained at the Brooklyn military base on Friday. A pizza delivery man in New York City is on the path to deportation after staff at the Fort Hamilton military base in Brooklyn called ICE on him while he was there to deliver a pizza. “He called the NYPD and the NYPD told him I didn’t have any record, that I was clean. But the man said ‘I don’t care,’ he said I need to keep waiting and he called ICE,” Villavicencio said. 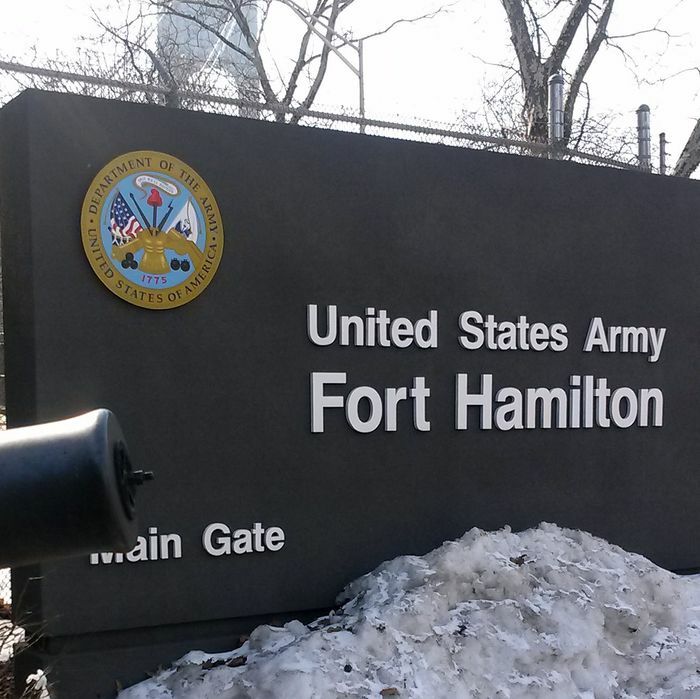 Fort Hamilton spokesperson Cathy SantoPietro told BuzzFeed in a statement that Villavicencio lacked “valid Department of Defense identification” when he entered the base on Friday. When staff conducted a background check on him, they found “an active Immigration and Customs Enforcement warrant,” she said. Villavicencio was ordered to leave the U.S. in March of 2010, ICE spokesperson Rachael Yong Yow told BuzzFeed. Because he failed to do so, he became “an ICE fugitive,” she said. Villavicencio’s wife, Sandra Chica, said that her husband has been in the U.S. for around a decade. Chica is an American citizen, as are the couple’s two daughters, who are 2 and 3 years old. At a press conference Wednesday, Chica said her husband recently applied for a green card. Several politicians were on hand at Wednesday’s press conference, including Brooklyn Borough President Eric Adams, who said Villavicencio’s detainment after producing his IDNYC card is sending “shock waves” through the city’s immigrant community. For undocumented immigrants, the municipal identification card is supposed to provide a measure of security against deportation. City Council member Justin Brannan, also at the press conference, criticized ICE for detaining Villavicencio, who gave no indication that he’s a threat to anyone. “This is absolutely ridiculous,” he said. “You’re tearing families apart. For what?